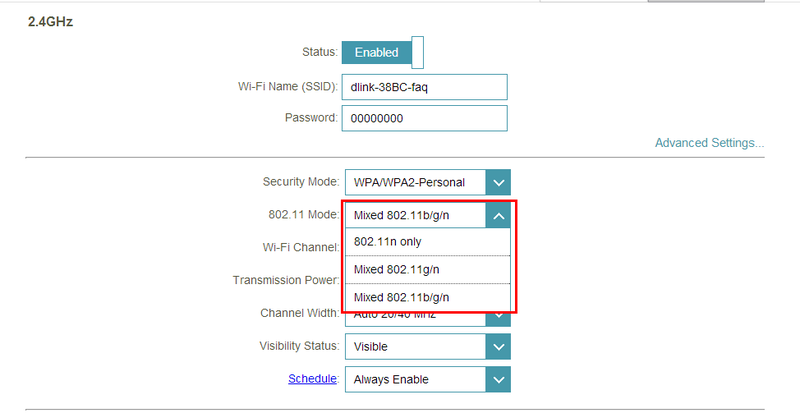 How do I change the 802.11 mode on my router? Example: If your device only supports 802.11b or 802.11g and it can’t connect to the router then you can try to change the 802.11 mode to solve the problem. If your devices all use the same 802.11 standard, you can set an ‘only’ mode to improve performance. 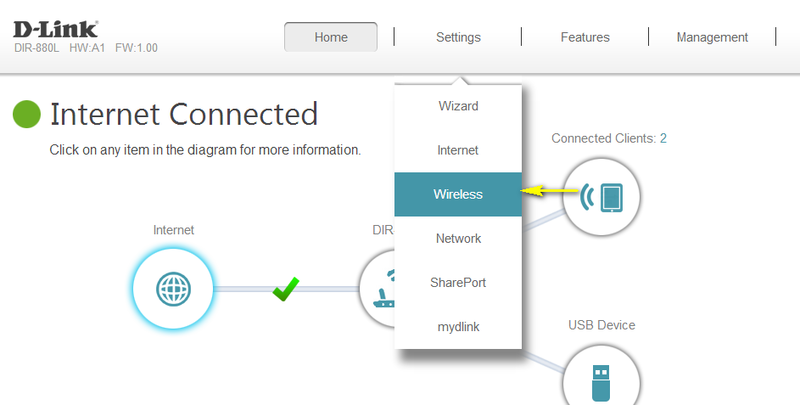 Step 3: Move the cursor to the Settings tab and then click Wireless from the drop-down menu. Step 4: Click Advanced Settings… for the wireless band that you wish to change the wireless mode for. 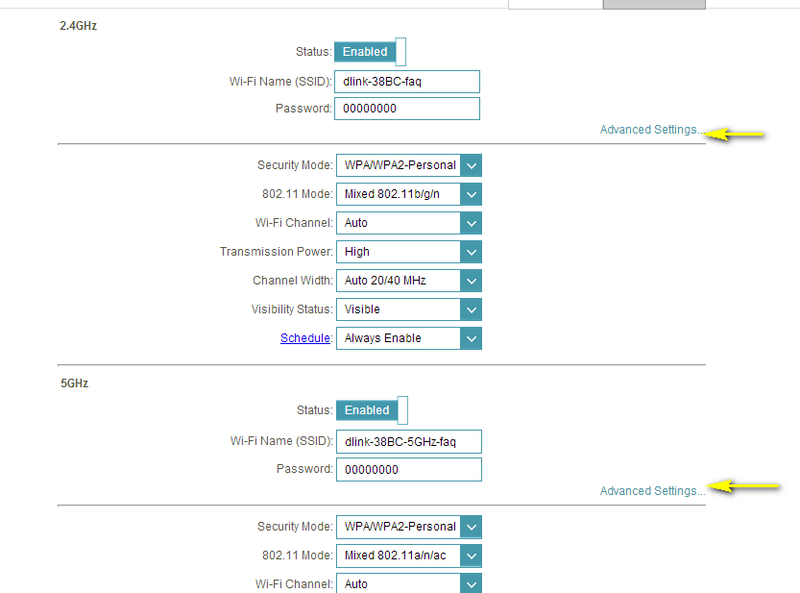 Choose your desired 802.11 Mode from the drop-down menu. The mode selection process is the same for the 2.4 GHz and 5 GHz bands, however the options available for each band are different. 802.11n only - Only wireless devices compatible with 802.11n can connect. Mixed 802.11g/n - Wireless devices compatible with 802.11g or 802.11n can connect. Mixed 802.11b/g/n (default) - Wireless devices compatible with 802.11n, 802.11g, and 802.11b can connect. 802.11a only - Only wireless devices compatible with 802.11a can connect. 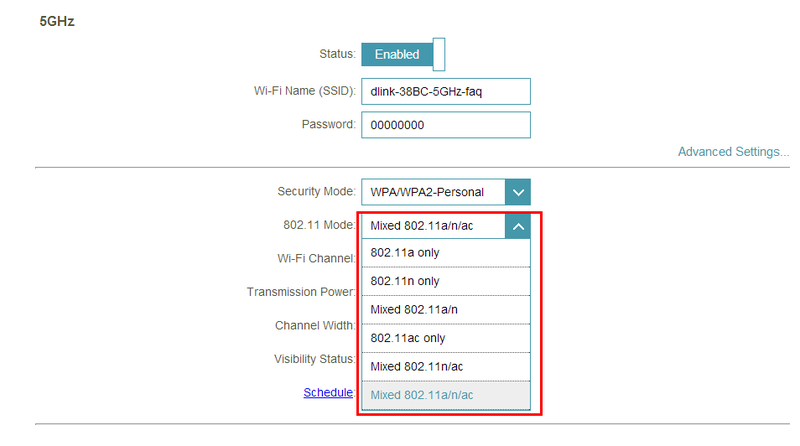 Mixed 802.11a/n - Wireless devices compatible with 802.11a or 802.11n can connect. 802.11ac only - Only wireless devices compatible with 802.11ac can connect. Mixed 802.11n/ac - Wireless devices compatible with 802.11ac or 802.11n can connect. Mixed 802.11a/n/ac (default) - Wireless devices compatible with 802.11ac, 802.1n, and 802.1a can connect. Step 5: Click Save Settings to save your current configuration.